It is great to hear you are going to receive your stuff. I hope more people get the same experience. It is never too late to set things right. Sort of in line with what he said a while back - that he would be working in the background to get peoples' stuff out gradually. Hey SethK. Are you going to give me back my money? Dude what happened? tell us bro! Sent him my TGR-Jane R1 kit for assembly right around the November 2015. He responded to my request, provided his shipping address, gave me a 1st week update then vanished in December 2015. Items that I sent him (currently in his "possession") - I put possessions in quotes only on the possible chance Seth sold my items on another forum. Bro, that's awful. I hope you hear back pronto. Thanks. I saw that posting on r/mechmarket for a Jane-R1 listed at $1200 now $850. It reminded me of a nice board I never got to use haha. Did you manage to get in touch with him? Nope, no luck. Emails and PMs have all gone unanswered. I reached out to Seth today on instagram. He immediately deleted all of my comments. edit: seems he's blocked me now. Cant see his insta anymore. Sounds like he's gone full scammer to me. 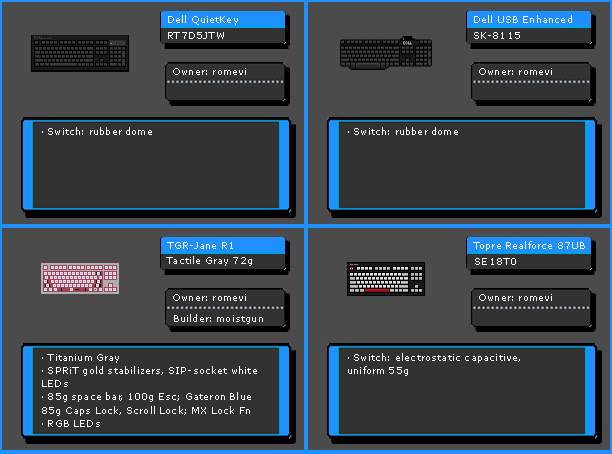 Mods pls, how the fk is kbdhub STILL a vendor? Rip my TGR Jane grey titanium. I asked Sethk to assemble my TGR Jane about a year ago. He responded and provided his mailing address. About 2 months after that he disappeared and stopped responding. I think steezyus even offered to try contact sethk to retrieve the lost Jane, but no luck there. Holy cow, man. I really hope you get it. There aren't many out there. Haha yea I'm not holding my breath on seeing that beauty ever again. 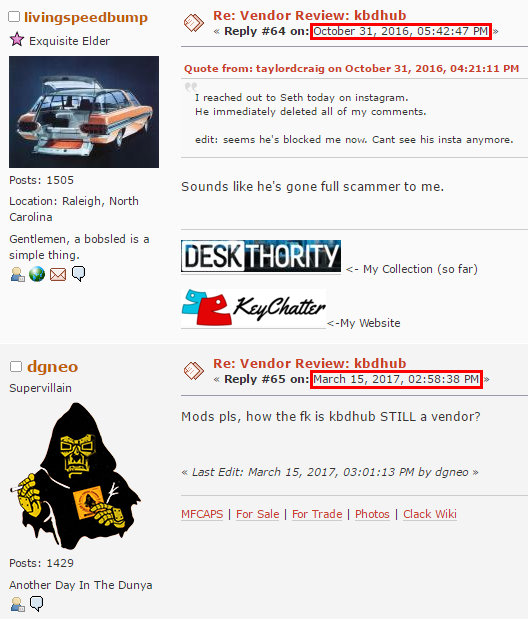 He is a vendor because he has a subforum. He has a subforum so that people can still post about problems they are having with him. He cannot start anything new on geekhack. This is the only unlocked thread, so that users like dakuzo have somewhere to post. He has a subforum so that people can still post about problems they are having with him. Do you have a point you're trying to make here? Every thread in this sub, save for this one, is locked. This is the thread for discussing issues. Based on people having posted here within the last week, I'd say there's still need for it. Had I not posted, I have a funny feeling no one would have. My point would be there seems to be a lot of cleaning up needed on this forum (GH in general, not just kbdhub), and it honestly seems like no one wants to do anything about it. I understand how it might look that way from the outside. There are many things in the pipeline, and only so much time in a day, particularly when all the mods have jobs and responsibilities outside of GH. Sometimes things that seem simple don't end up being simple due to having to coordinate enough people for enough time to get things done properly. 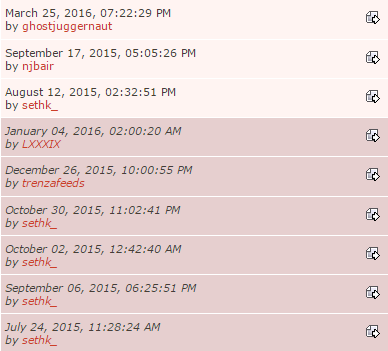 Doing a proper cleanup of the vendor forums (for instance) is one of those things. It's absolutely something we're working on and haven't forgotten, but it's unfortunately a more complicated process than just one person hitting a few buttons. Page created in 0.133 seconds with 97 queries.